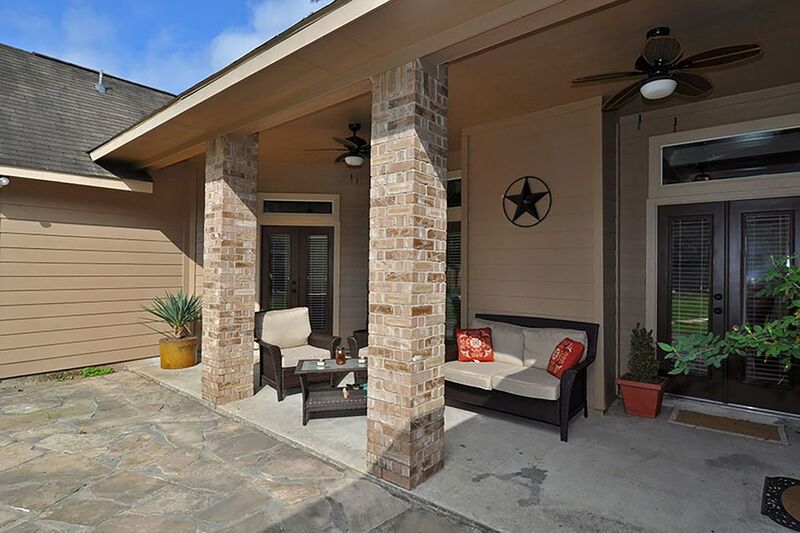 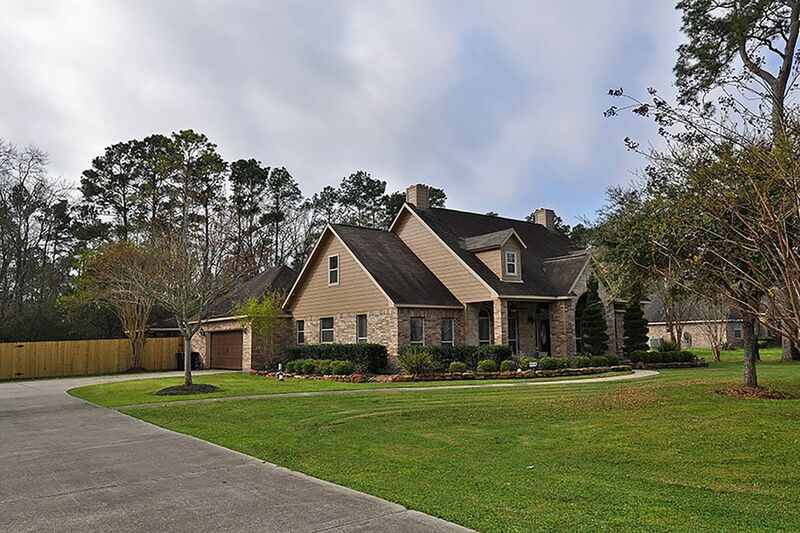 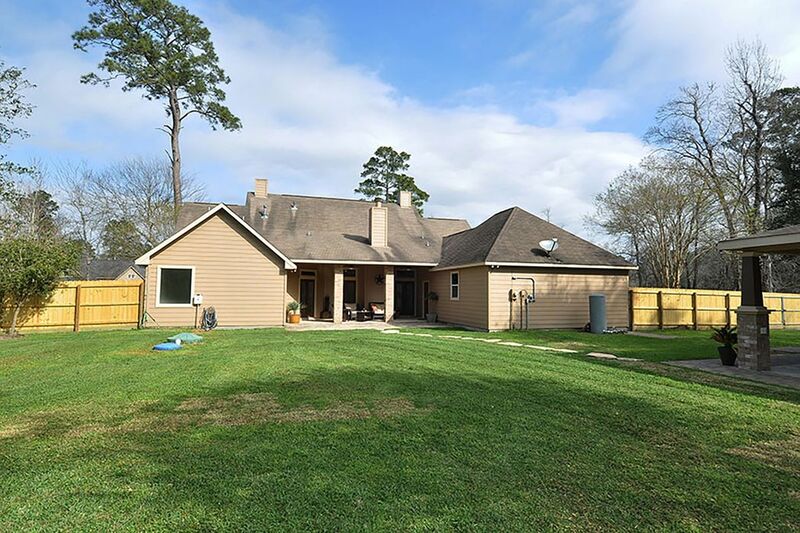 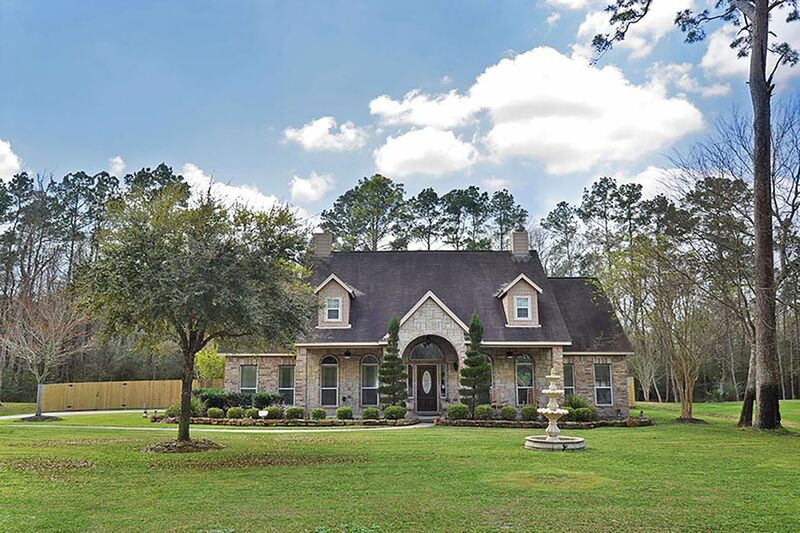 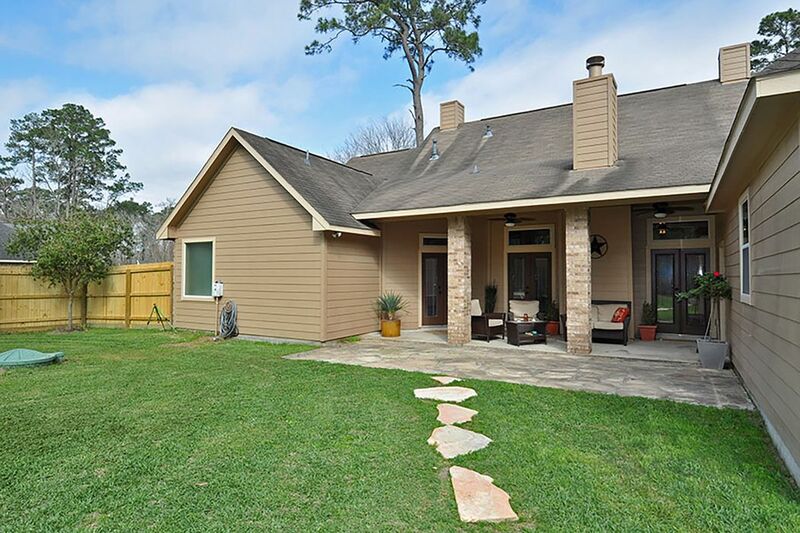 1111 Silver Moon Trail, Crosby, TX 77532 | Martha Turner Sotheby's International Realty, Inc.
$349,000 3 Bedrooms2 Full / 1 Partial Baths2,686 sq. 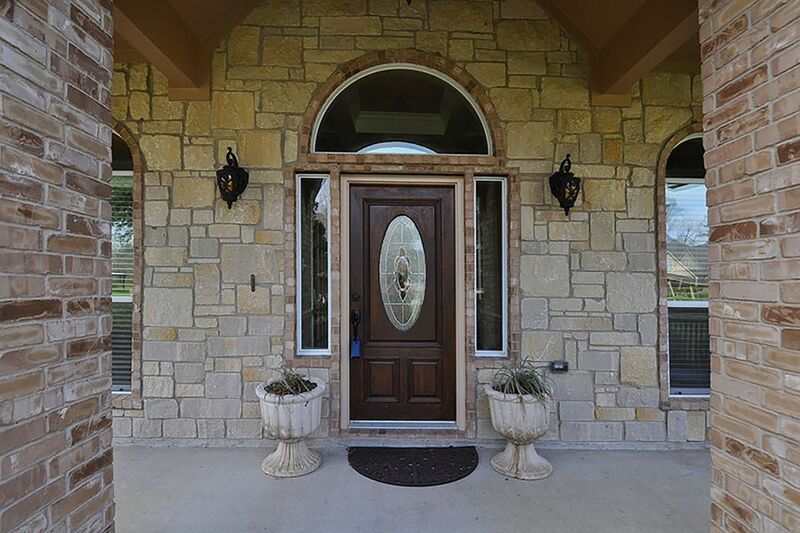 ft.
Gorgeous home situated on an oversize lot with charming front porch, incredible architectural details and stunning curb appeal. 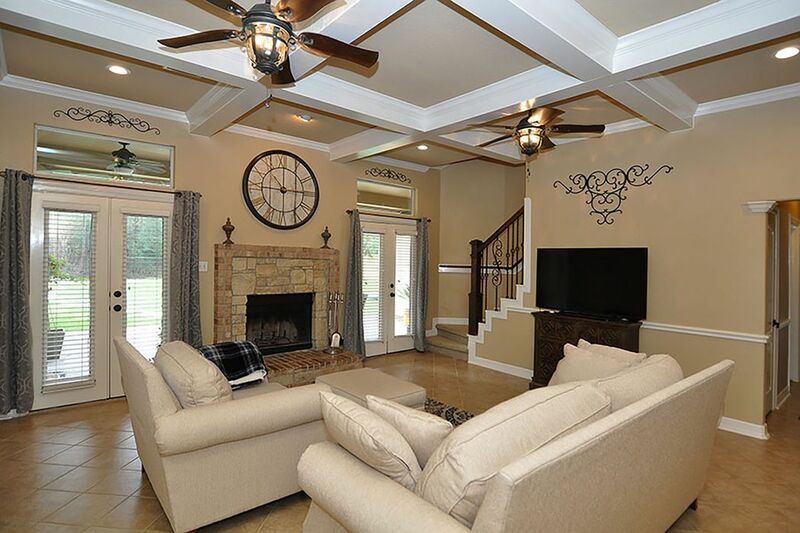 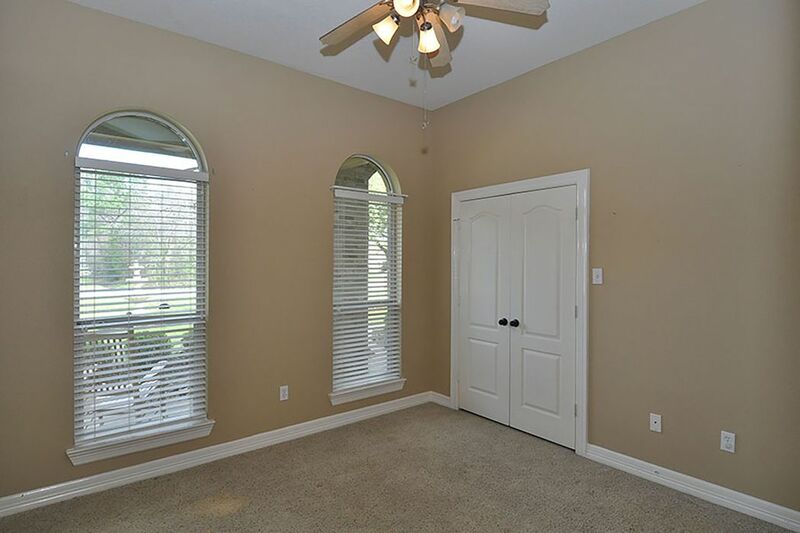 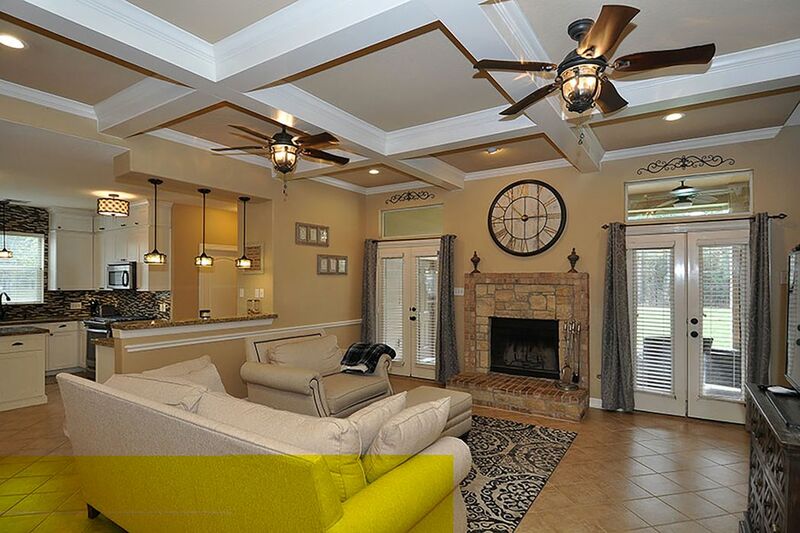 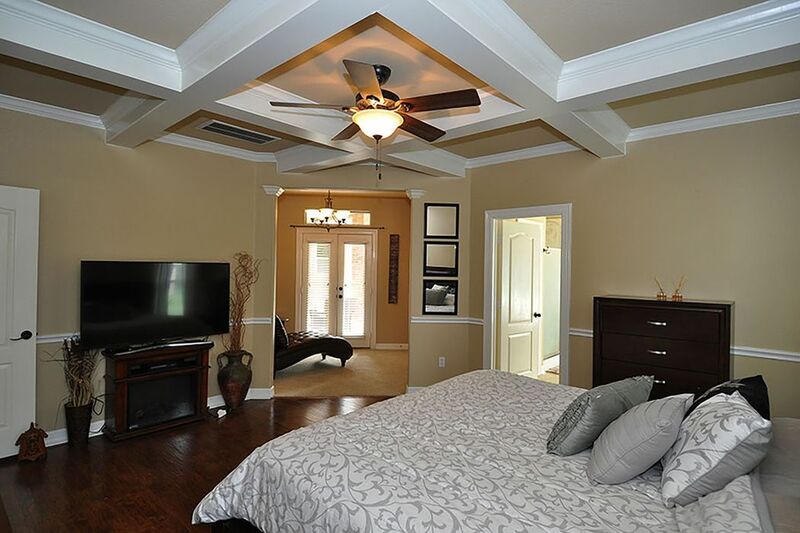 Neutral paint throughout, crown moldings, lots of windows providing an abundance of natural light and much more. 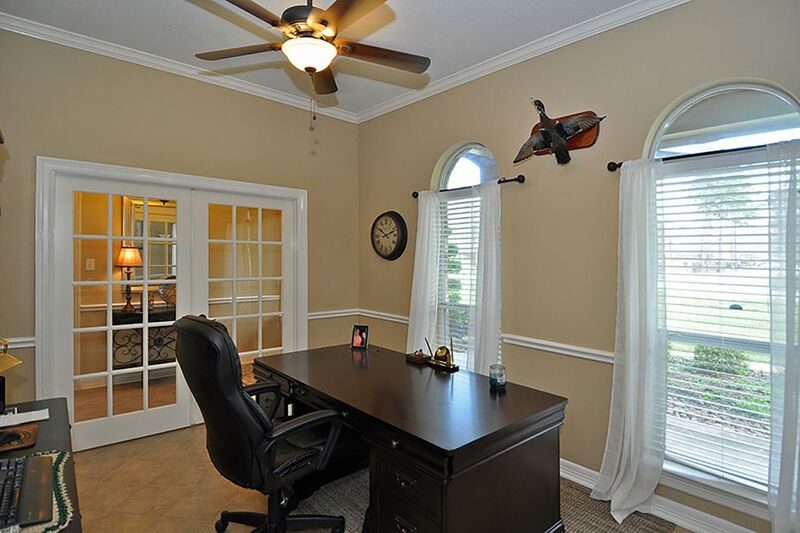 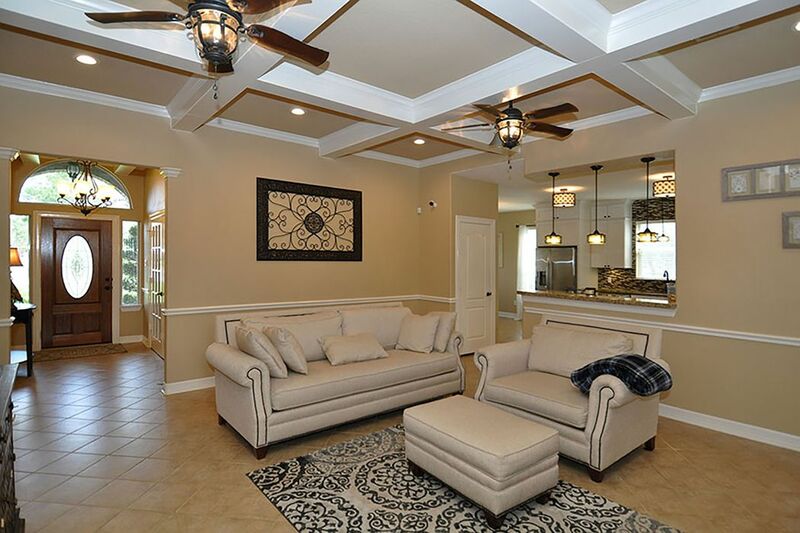 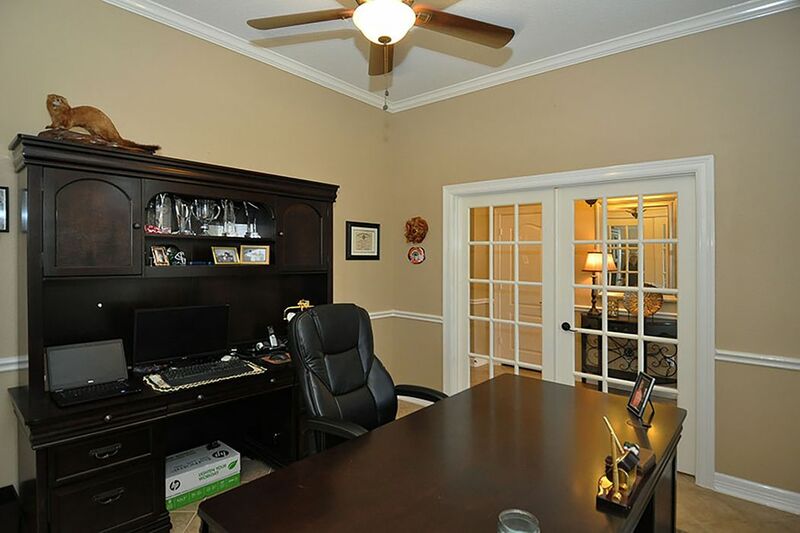 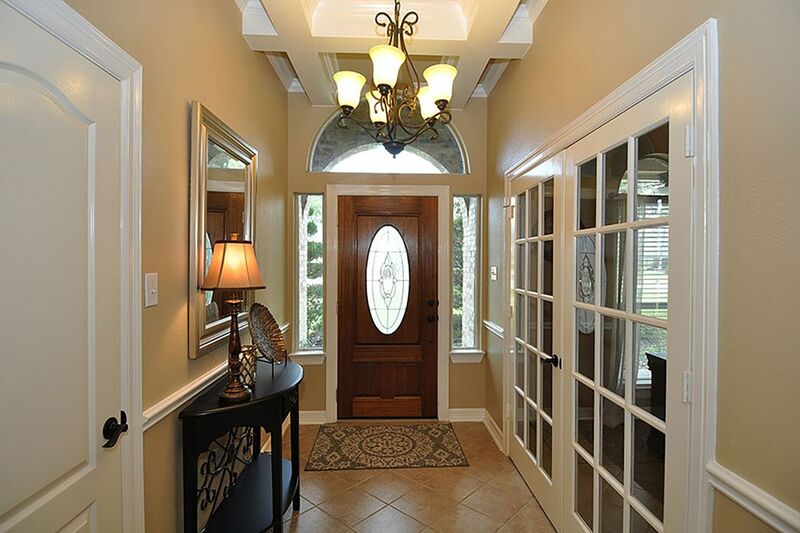 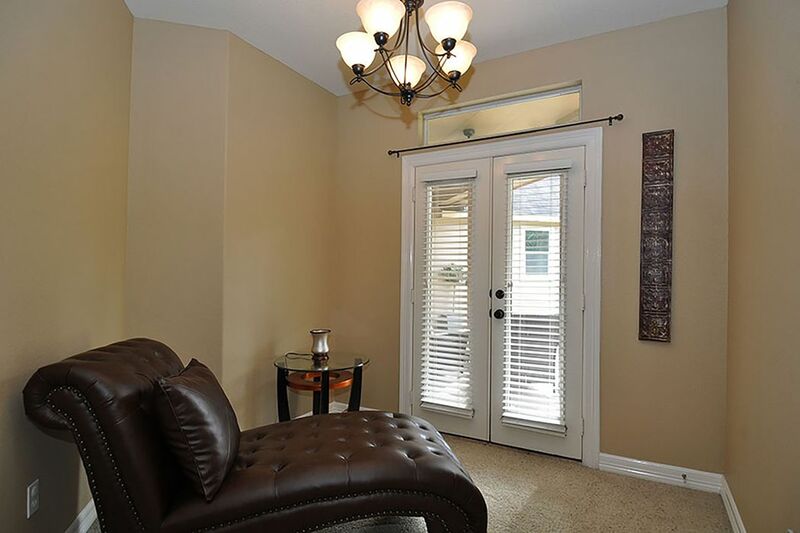 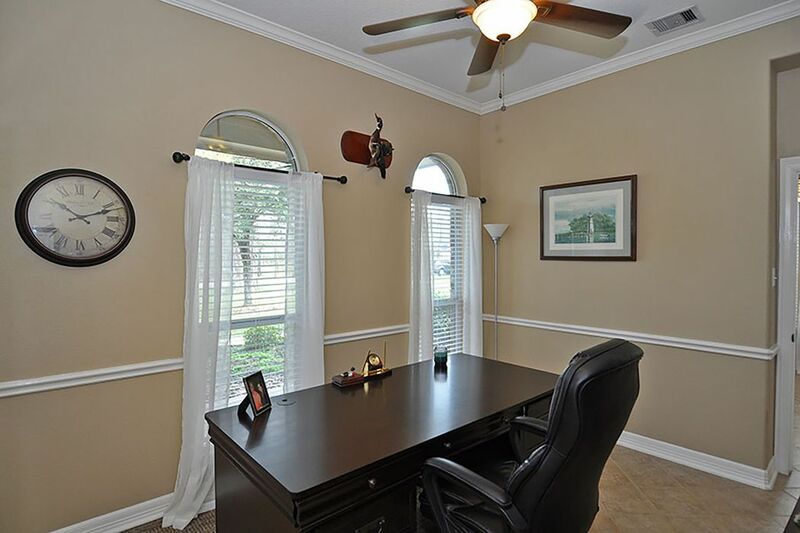 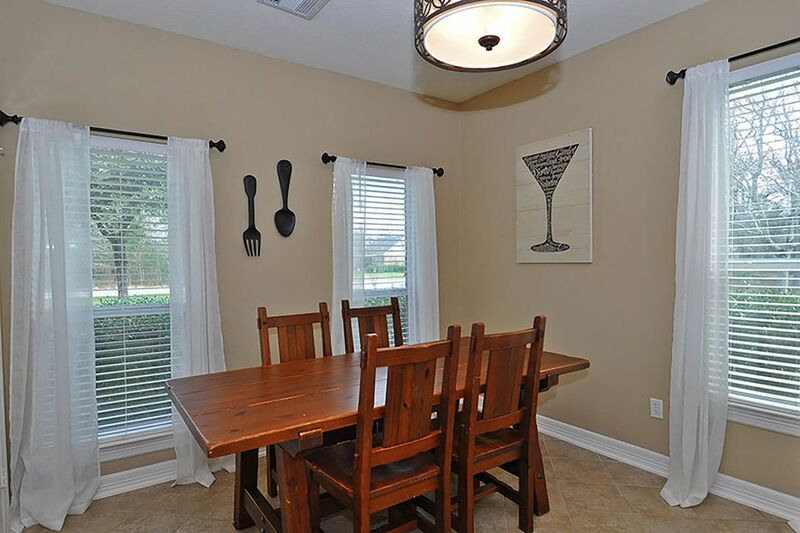 Handsome study with French doors is located off the lovely foyer. 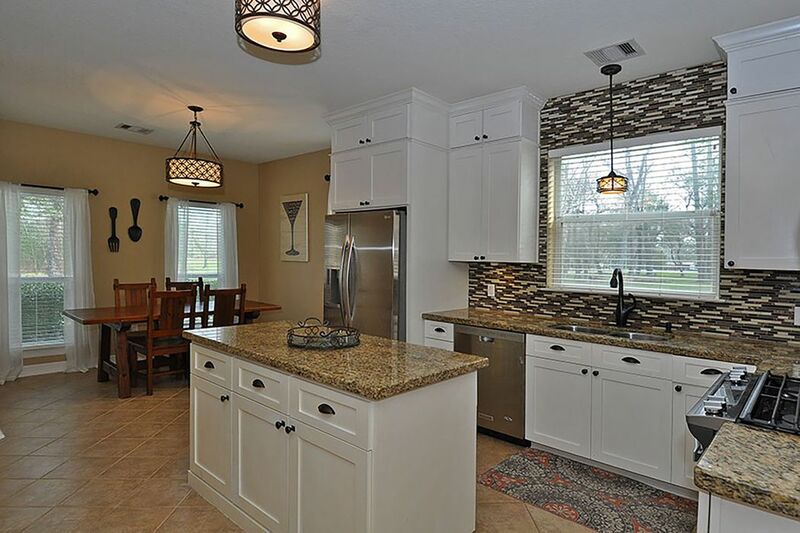 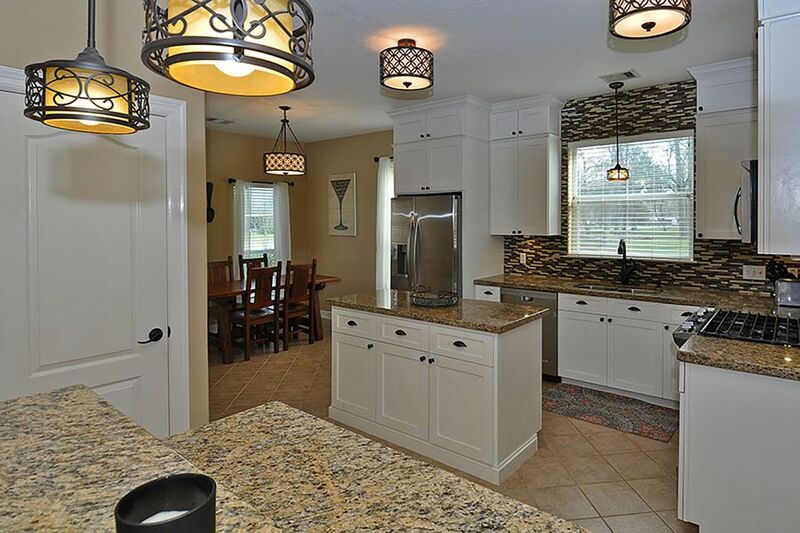 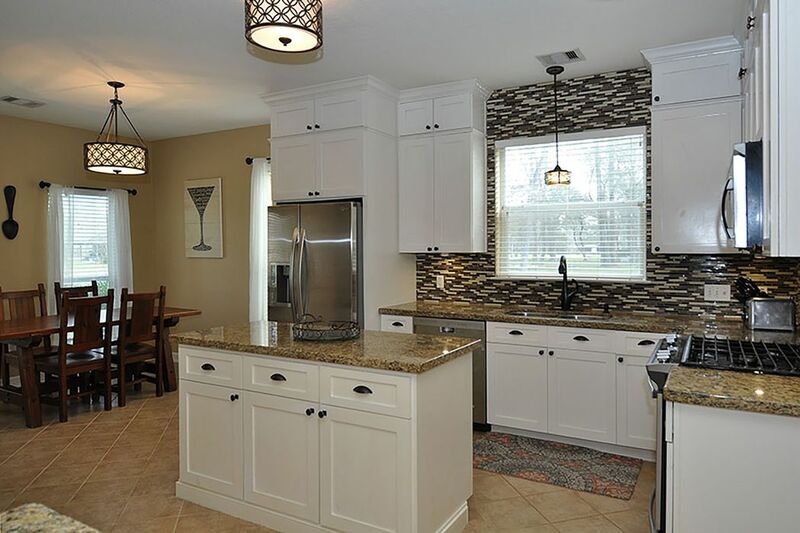 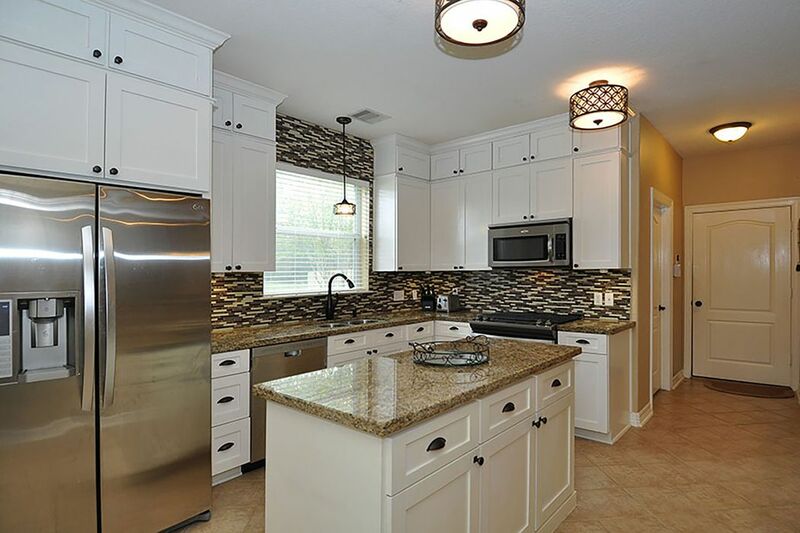 The delightful kitchen features stainless steel appliances, granite countertops, lots of cabinets, breakfast bar, island and opens to the cozy den with a stone fireplace. 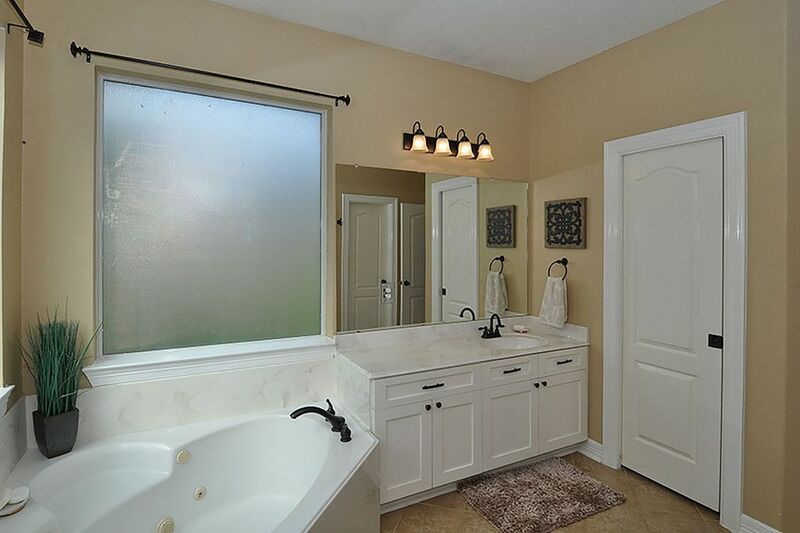 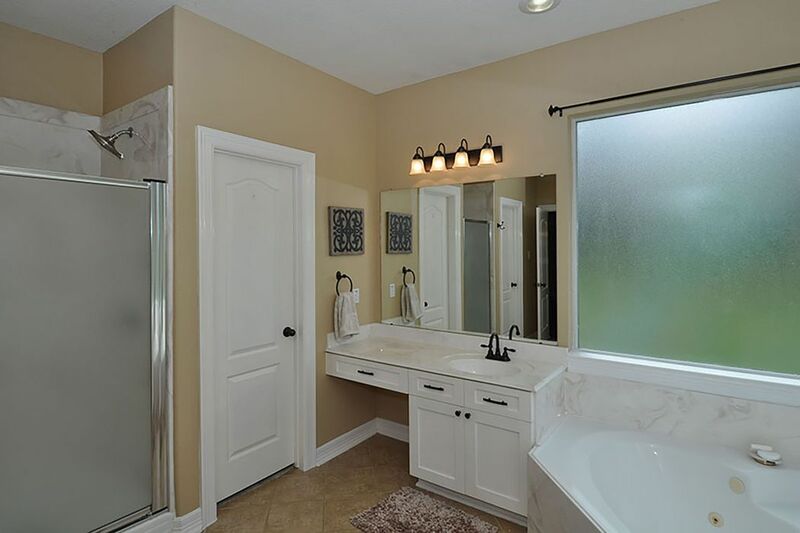 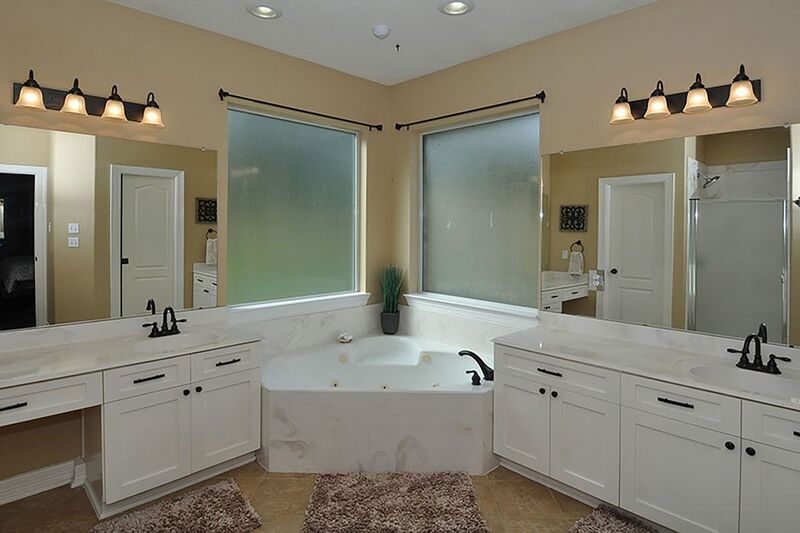 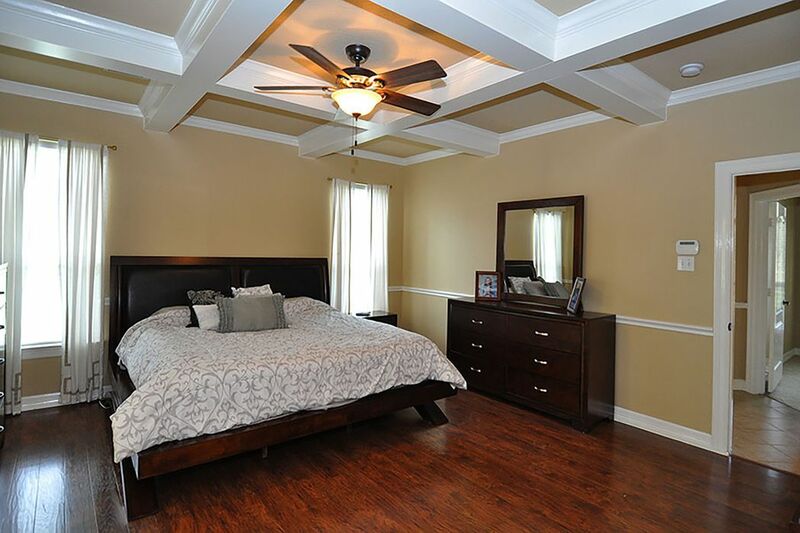 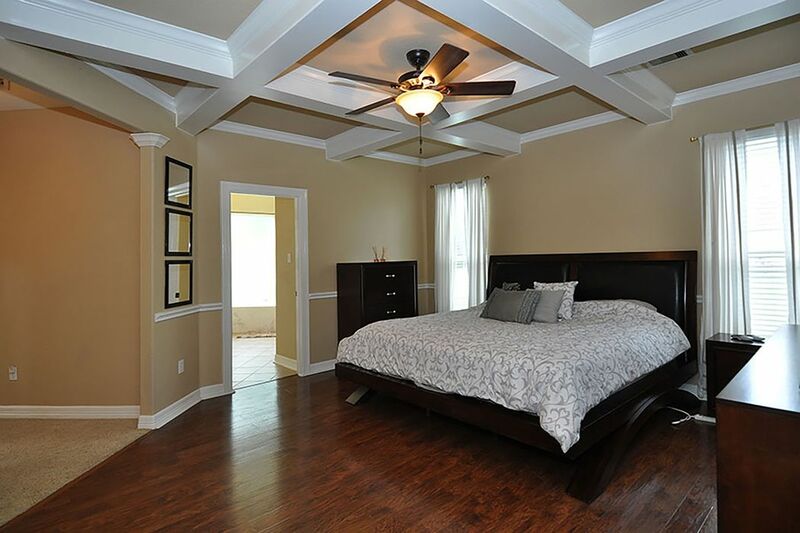 The master bedroom suite has a comfortable sitting area that overlooks the peaceful backyard and a spacious bath, which includes 2 vanities, a soaking tub and separate shower. 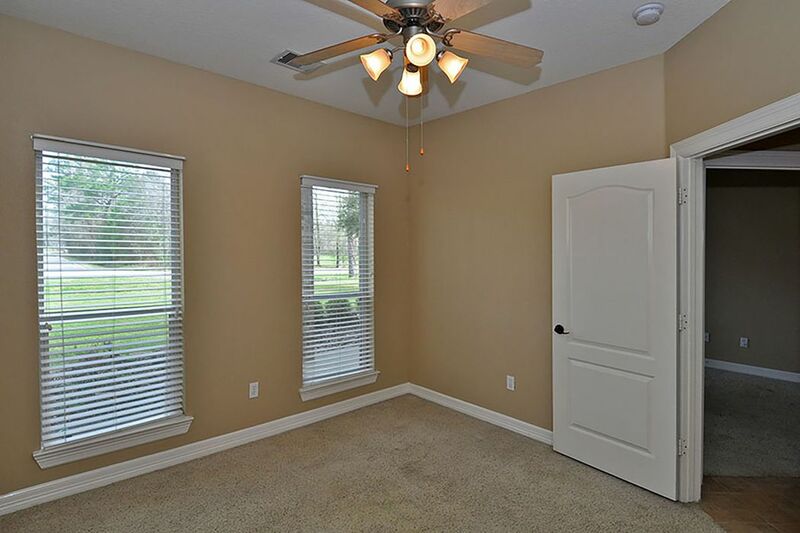 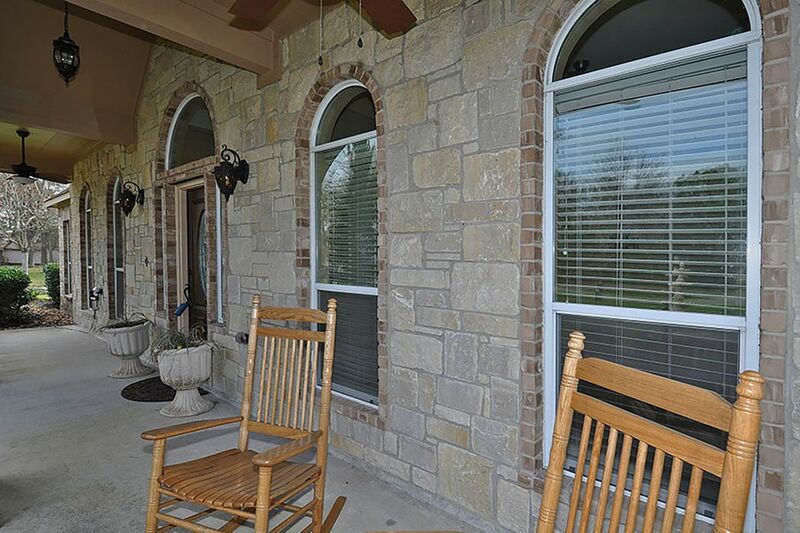 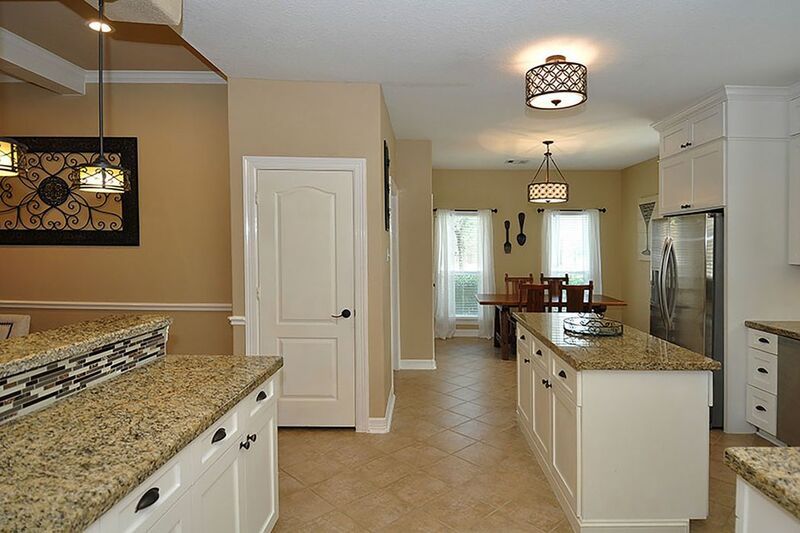 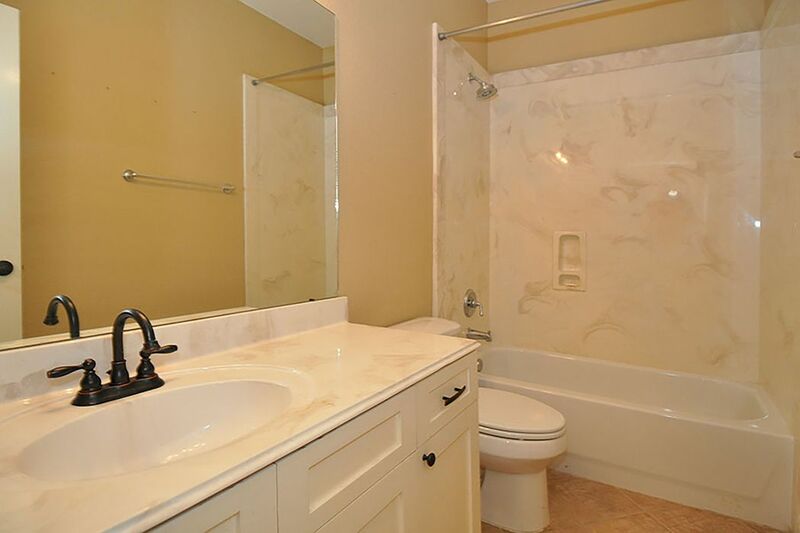 Two additional bedrooms and full bath are also located on the first floor. 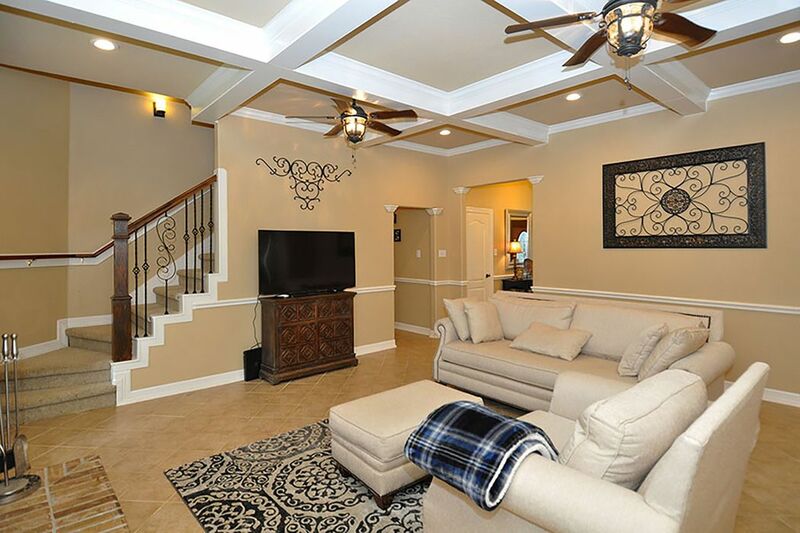 The large game room is located up the wrought iron staircase and has built-in bookshelves and a Texas basement for extra storage. 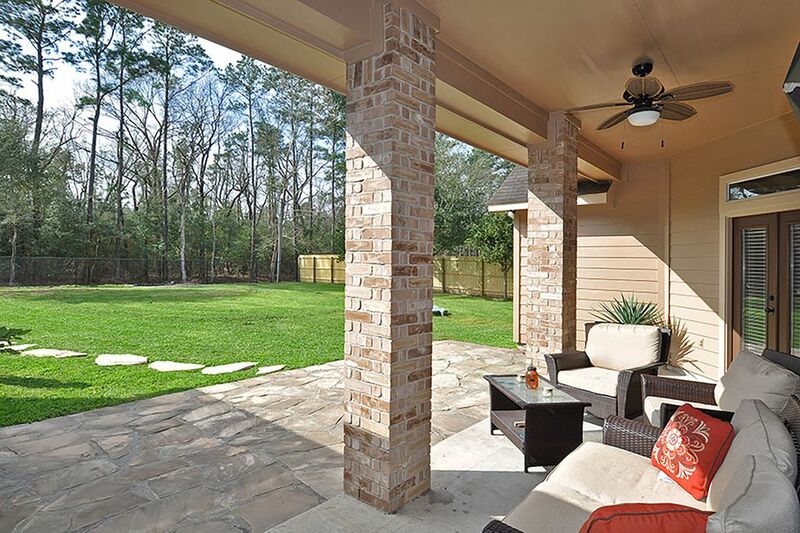 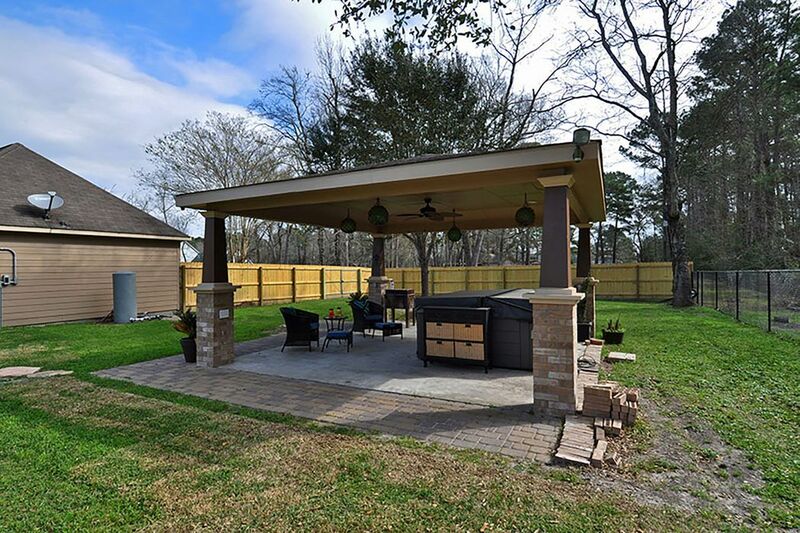 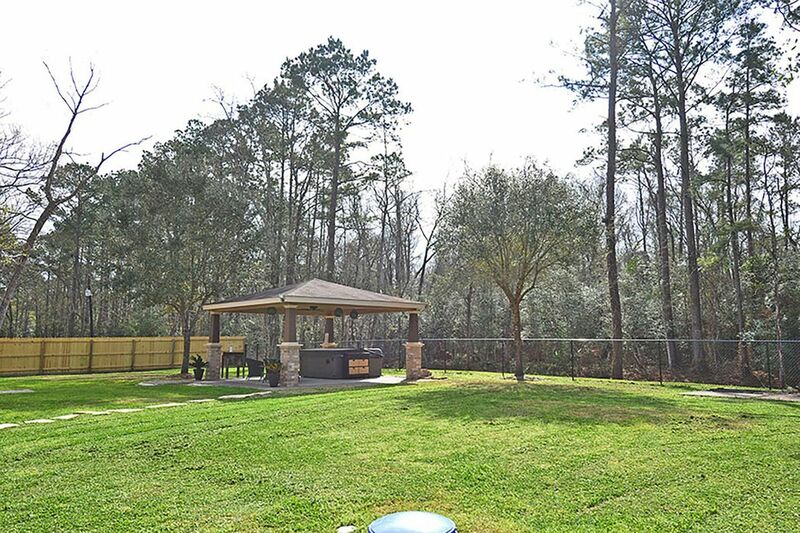 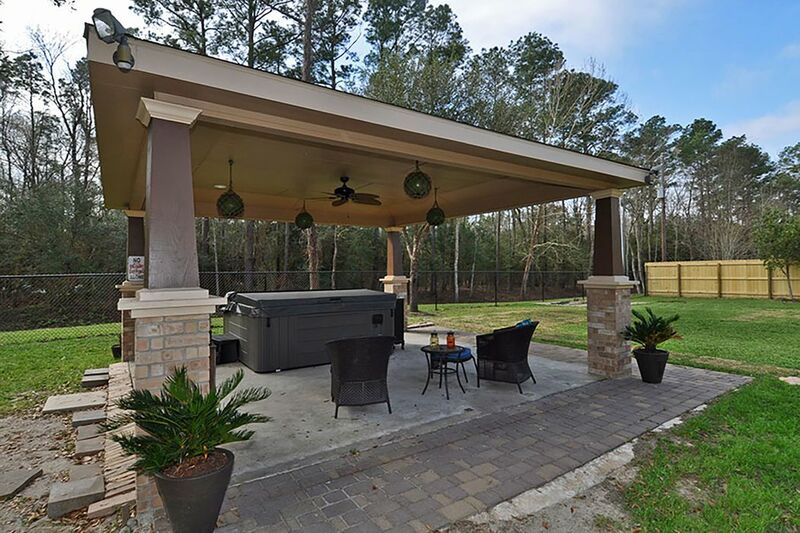 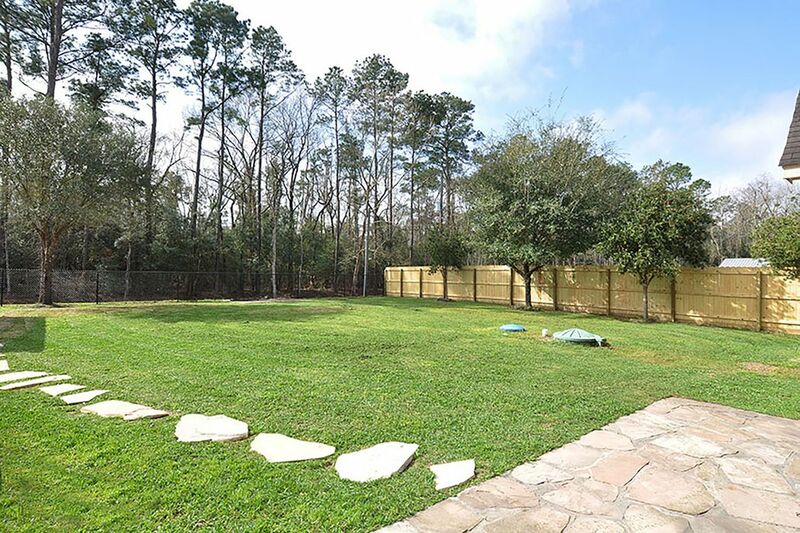 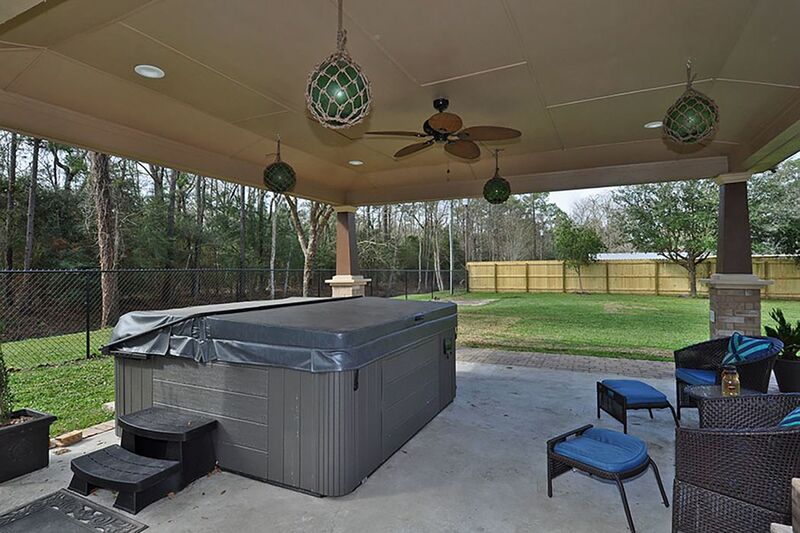 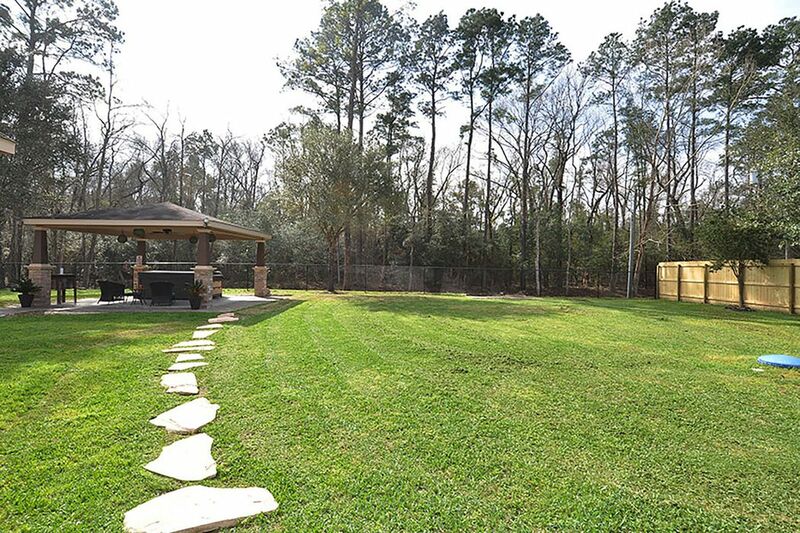 The backyard features a covered patio, serene view of the woods, fabulous gazebo with lights and electrical outlets and a relaxing hot tub.